Dirt, sweat, and lack of moisture……sound familiar? That pretty much sums up our conditions around here, and probably where you live, too. All three of these are enemies of leather, in particular our saddles. A saddle, if well cared for, can last a lifetime. A thorough cleaning and conditioning routine, is a must to protect your investment. How often you need to clean and condition your saddle depends on the type and frequency of your riding. 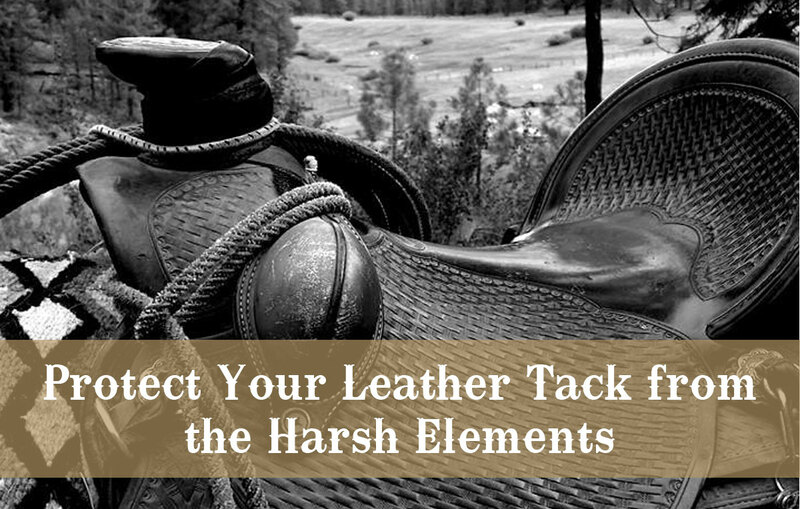 Leather is a durable material, but it needs regular care to stay strong and supple. Thoroughly remove any dust, dirt, sweat, hair, etc. from the surface. With a good quality, mild, leather cleaner, and a damp sponge, clean all areas of the leather, top and underside. Periodically rinsing the sponge. When all areas have been cleaned, remove any cleaner with a clean damp sponge. Paying close attention to the stitch lines, and any tooled areas (a tooth brush works well for this). Rub leather dry with a soft cloth. All leather has natural oils that evaporate over time. Replenishing the oil helps prevent drying out and cracking. Hot, dry climates require more frequent conditioning. After cleaning, apply a THIN layer of oil/conditioner, such as Granite Station Saddlery Pure Neatsfoot Oil, with a clean soft cloth. Let set overnight. If after 24 hrs, you think the leather needs additional conditioning, you can apply another THIN layer. More is not better in this instance. Whether you have a made-to-order Western saddle or a favorite English saddle, you’ll love our own Granite Station Leather Care Products.